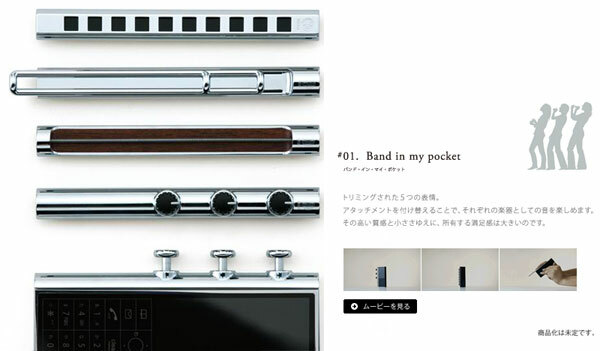 Band in my Pocket incorporates several different brass instruments such as trumpet, trombone and harmonica. 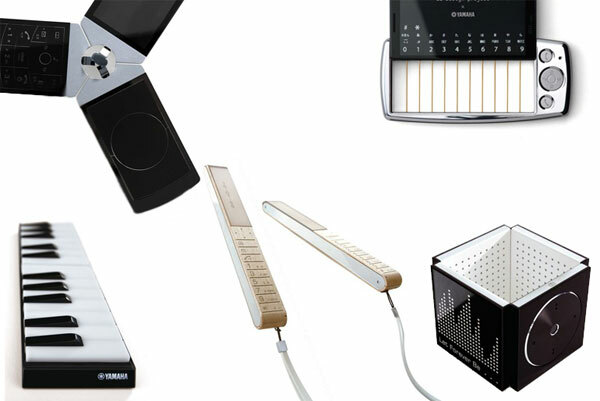 You generate sounds with your voice, and control them with individual buttons. 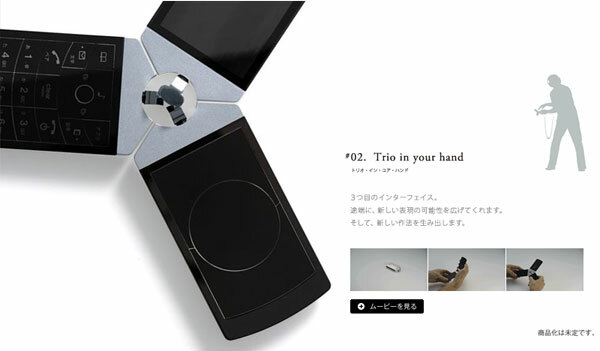 Trio in your Hand has a mini turn table that allows you to create your own beats and scratches. 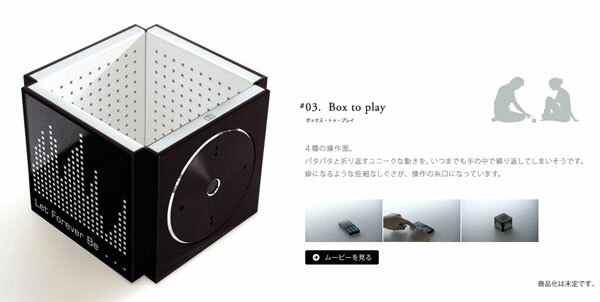 Box to Play is essentially four sides of a box with different musical interfaces, including a synthesizer and a mini turn table. I couldn’t tell from the video, but it might include a camera, as well. Can anyone who reads Japanese verify? 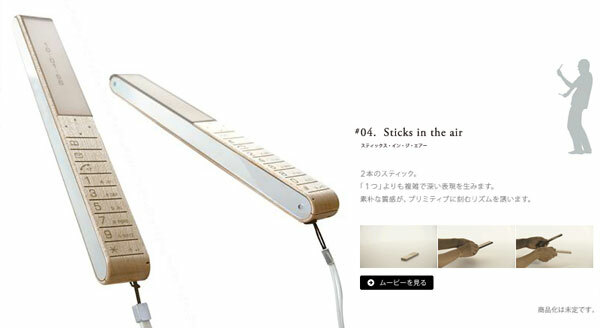 Sticks in the Air is a drum kit - pull the phone apart in the middle to separate the sticks and start drumming. 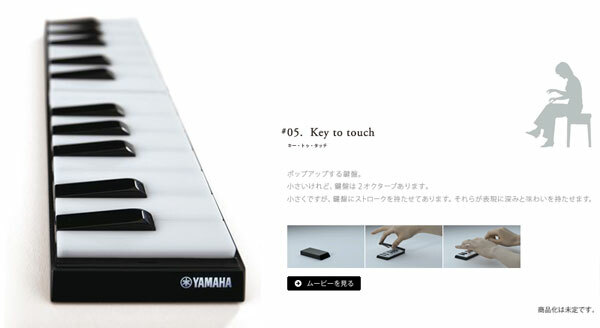 Key to Touch - I’m not sure I understand how this one functions as a phone as well, but you open it up to turn it into a keyboard. Strings for Fingers - the phone’s keypad slides out to reveal a touch pad that creates synthesized string sounds, including guitar, violin and cello. oh wow i love your page! and these phones are cool. wish i lived in japan. Japan… What a wonderful place. and wanna hear the string sound. So. Flippin’. Cool. Holy crap.